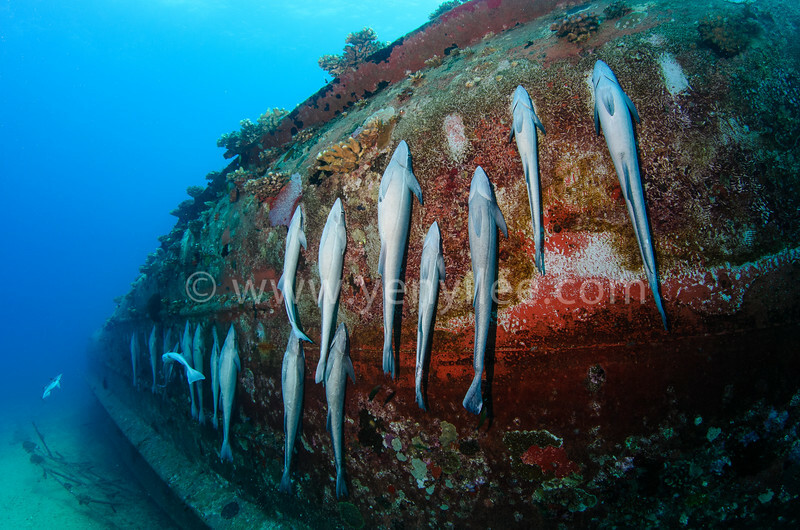 A school of remoras rest on a wreck. The most interesting thing is that they stick on some particular spots on the wreck, which forms a nicely arranged order. The space between each remora is almost the same, and it looks like each fish has its own bunk.